Commercial and Industrial Refrigeration, Winter Haven, FL | Johnson's Mechanical Inc. Commercial and Industrial Refrigeration, Winter Haven, FL | Johnson's Mechanical Inc.
Don’t let the Winter Haven summer heat derail your business– call us for all your commercial and industrial refrigeration needs. It is difficult to imagine what life was like in Winter Haven, Florida before the invention of refrigeration. It may have put the ice truck out of business, but it made many more businesses possible. 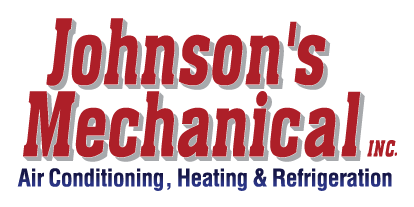 At Johnson’s Mechanical Inc., we have been meeting the commercial and industrial refrigeration needs of the area since 1982, so we’ve seen a thing or two. We’re able to work with all types of systems, including low, medium, and high-temperature systems. Each type of business has different refrigeration needs, from keeping an entire building cool to just a walk-in cooler. We have worked with a wide variety of businesses, so we’re confident we can be an asset to you. We excel at food distribution, pharmaceutical storage, and many more specialized businesses. You can count on your commercial and industrial refrigeration needs being met. Our fast and reliable team gets onsite and to work quickly if you’re experiencing a problem. You wouldn’t trust a bicycle mechanic to work on your luxury vehicle, so don’t trust just any HVAC and refrigeration company to handle your commercial and industrial refrigeration. We have a proven track record and state certifications to handle all projects, big and small. Don’t let the summer heat derail your business when we’re just a phone call away with 24/7 emergency service, if needed. We are family owned and operated, so our reputation means a lot to us. We’ll take care of your needs as if you were our own family. Call us today and see for yourself what sets us apart from the rest.